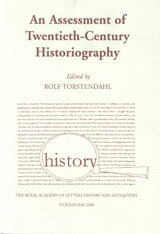 This book presents perspectives on the development of historiography in the twentieth century. Eight authors bring forward their analyses of the characteristics of the scholarly development in the field of history, each in a part of the world. Some leading aspects are used all through the book, such as the development of professionalism in history, new trends in the theory of history and their impact on historiography, institutional changes, etc. Thus is presented the historiographical development in Japan, China, Australia, Russia, Eastern Europe, Western Europe, Africa and North America. Even if this is not the whole of the world, the book more than any predecessor gives a worldwide perspective on historiography. A general discussion of the recent changes of historiography in different parts of the world has long been lacking. This book could serve to fil1 this lacuna, not least for the purposes of university courses. Two concluding chapters and an introduction bring forward general traits and specific characteristics. The editor, Rolf Torstendahl, is professor of history at Uppsala University. Beside his works on modern social development in Europe he has authored books and articles on historiography. He is a member of the Bureau (Board) of the Commission for the History and Theory of Historiography attached to the Comité International des Sciences Historiques.